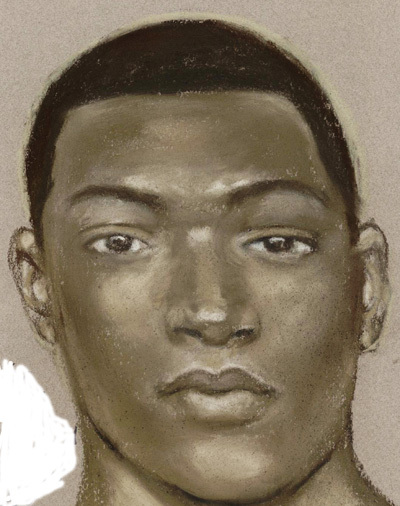 June 13, 2011 - Houston police are asking for the public's assistance in identifying a suspect wanted in the fatal shooting of a man at 13333 Northborough about 12:25 a.m. on Monday. The suspect is described only as a black male in his late 20s to early 30s. He is about 5 feet 11 inches tall and has a muscular build. A composite sketch of the wanted suspect is attached to this news release. The victim is identified as Nathan Eugene Davis, 44, address unknown. Mr. Davis suffered an apparentgunshot wound to the head and was pronounced dead at the scene. Officers responded to a report of a shooting in the 13300 block of Northborough. Upon arrival, they found Mr. Davis behind a dumpster on the property. Investigators are interviewing witnesses to the incident. At this time, there is no known motive to the shooting.